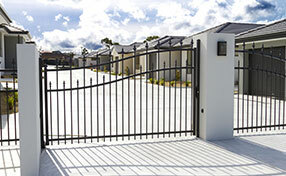 Because it’s outside, exposed to the elements, your residential home installation gate needs a lot of attention and care. Routine maintenance is a must, and getting a trained professional to do an annual inspection is something you definitely have to keep in mind. But in between visits from the professionals, there are things you can do yourself to keep your system running smoothly. 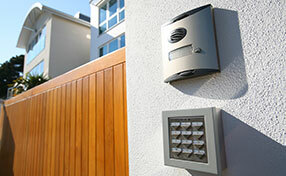 Here are a few upkeep tasks that can really extend the life of your gate. Your gate has a lot of moving parts. Those parts are subject both to inclement exposure as well as normal damage associated with wear and tear. It’s good to have 24/7 maintenance service for when your gate breaks down, because it’s terrible to be stuck in your driveway when you need to go somewhere. To reduce the chance of this happening to you, give your whole system a complete check up every month. Look for rust, weather damage, or parts that are bent or broken. A misaligned roller can lead to big problems down the line if you don’t get it replaced right away. Even something as simple as hinge welding repair can be a game-changer if you catch it in time. Many of the parts in your opener can get worn or bent with use. 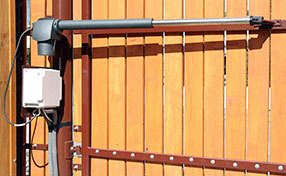 The chain or belt that drives the opening and closing of the gate is especially vulnerable to deterioration. Make sure to give that special attention. Consider having gate service to take a look at this crucial piece of the system, as a breakdown there could really spell trouble down the line, interfering with every aspect of the system and causing a total failure. Remember, a little time and effort right now pays off big by preventing a worse problem.